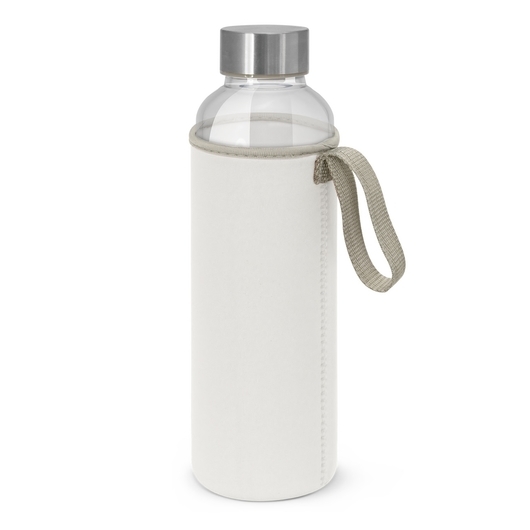 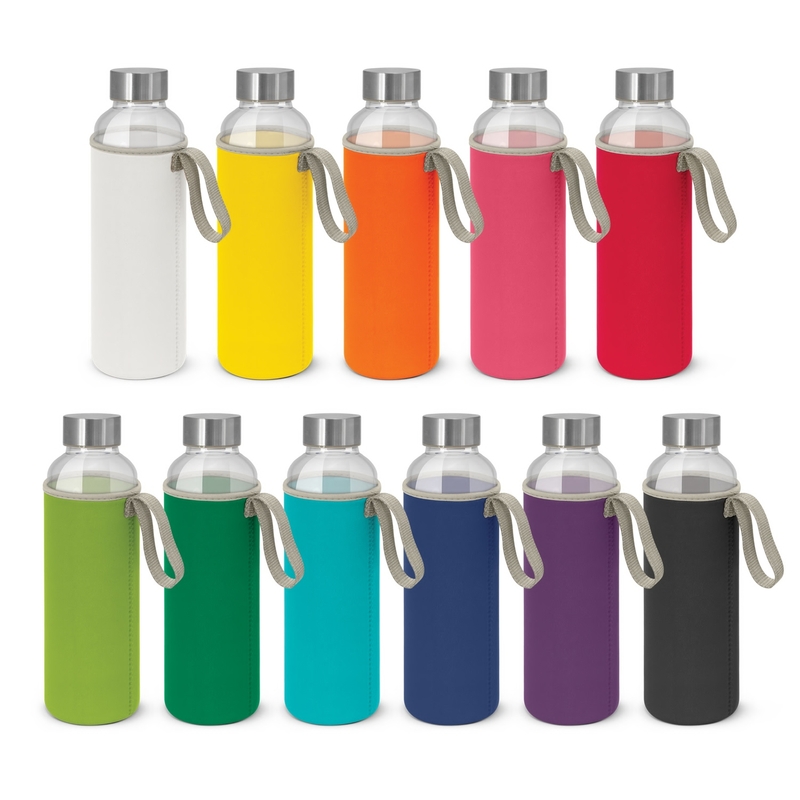 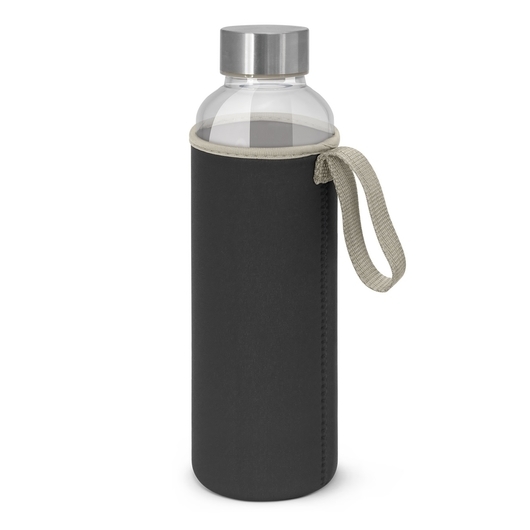 A fantastic glass drink bottle with a neoprene sleeve that you won't want to lose! Enjoy the clean, pure taste of a glass drink bottle with added security and comfort from the soft neoprene sleeves with these remarkable bottles. They have a capacity of 600mL, a grey woven polyester handle and will keep your drinks cool for longer due to neoprene's insulation properties. Borosilicate glass is an eco-friendly alternative that is both strong and shatter resistant. The secure screw on stainless still lid can also be laser engraved with a logo.